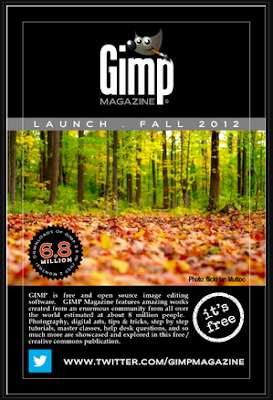 GIMP Magazine features the amazing works created from this world wide community of GIMP. Photography, digital arts, graphic arts, design, tips & tricks, step by step tutorials, master classes, help desk questions, book and product reviews and so much more are showcased and explored in this quarterly publication. This publication is available for free and is licensed Creative Commons CC-AT-SA 2.5.